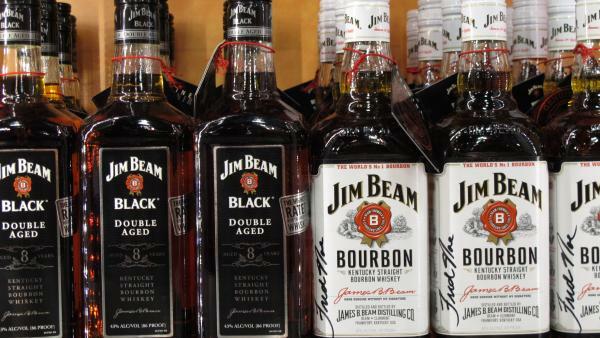 In a $16 billion deal this week, Japanese beverage giant Suntory announced it plans to purchase Beam Inc., maker of Jim Beam and owner of other popular bourbon brands, including Maker's Mark. For more than a century, Suntory has been in the beer and spirits industry in Japan, but what many Americans think of when they hear the name is the scene from the 2003 film Lost in Translation, in which Bill Murray plays an actor who goes to Tokyo to shoot a whiskey commercial. "For relaxing times, make it Suntory time," Murray's character says coolly into the camera. If the deal is approved by shareholders as expected, the name Suntory is likely to become more familiar in the U.S. in the months ahead. The popularity of bourbon has exploded in recent years, especially in Japan and other Asian markets. The Kentucky Distillers Association calls the Suntory purchase of Beam exciting news and evidence that the bourbon renaissance is strong. Carla Carlton, a contributing writer for The Bourbon Review, agrees, and believes any qualms about the new owners will be put to rest. "I know some people were talking about how 'this is terrible, we're being taken over by a Japanese company,' " Carlton says. "I guess I see it as an investment in Kentucky." Carlton, who also blogs under the name The Bourbon Babe, predicts Suntory will embrace bourbon's colorful history and its appeal to tourists who flock to Kentucky's distilleries. "Bourbon is very much an American product and it must be by law, so it will still be made here in Kentucky," she says. "I don't see them making huge changes. I think they're buying the product for what it is now and will try to maintain that as much as possible." 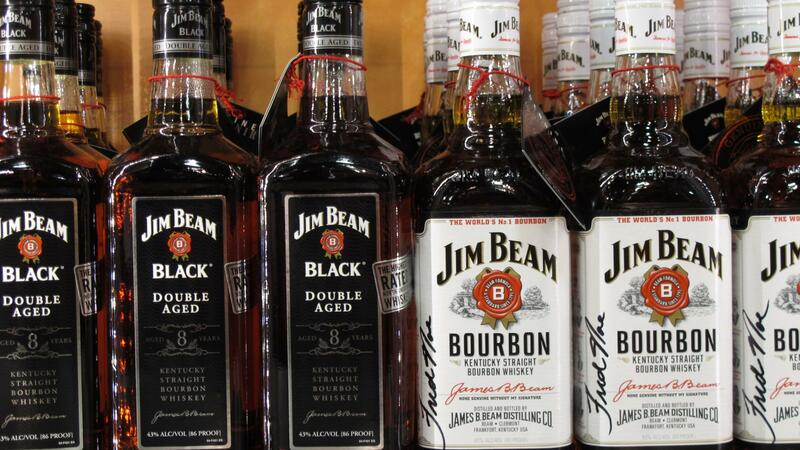 Suntory officials say they don't plan any management changes at Beam's American headquarters in Illinois. In Kentucky, the bourbon celebration continues. Coincidentally, on the day of the sale announcement, industry and government leaders gathered in Louisville to announce the Kentucky Bourbon Affair this spring. It's a fantasy camp of sorts for bourbon connoisseurs to commemorate the 50th anniversary of Congress declaring bourbon "America's only native spirit." Eight distilleries, including Jim Beam and Maker's Mark, are participating in bourbon-making demonstrations, behind-the-scenes tours and, of course, tastings. Louisville Mayor Greg Fischer says an important element of bourbon's success has been the willingness of its producers to work together on such events. "They're smart competitors," Fischer says. "They realize by working together we can make the whole industry a lot bigger, and you can see that in the numbers right now." Fischer predicts more heady times are ahead for the bourbon industry, and says if this were a football game, "we're in the first quarter." Copyright 2014 Louisville Public Media. To see more, visit http://www.louisvillepublicmedia.org/.